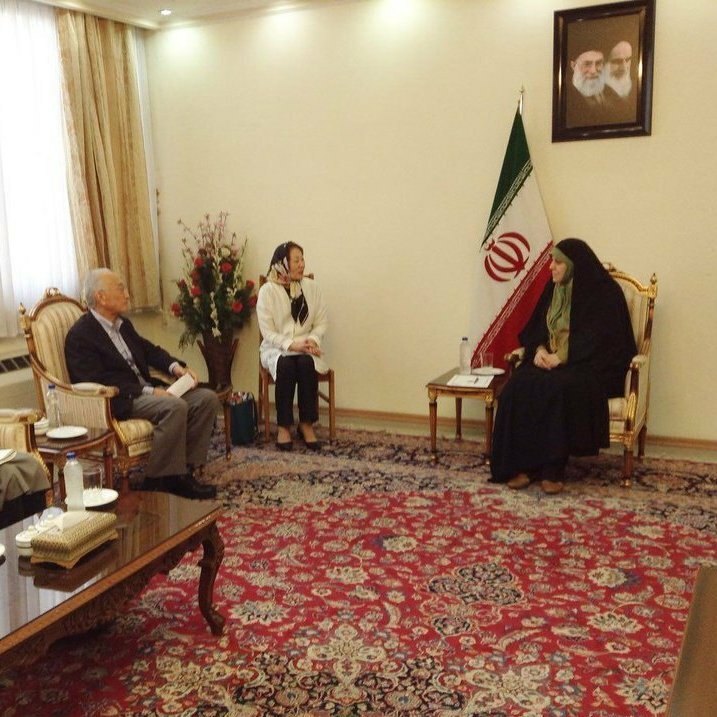 The delegation, led by Nobuo Tanaka, President of the Sasakawa Peace Foundation, held talks with Iran’s presidential aide for civil rights affairs, Shahindokht Molaverdi, IRNA reported. During the meeting, the two parts explored ways to share experiences in the field of job creation and economic empowerment. Molaverdi pointed out to the recent establishment of a joint strategic committee for civil rights affairs, saying that the issue of civil rights is very widespread. 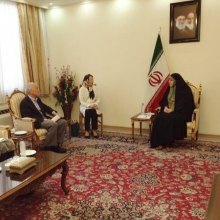 She referred to the Citizenship Rights Charter drawn up by President Hassan Rouhani as an important document, which informs citizens of their civil rights. An initial draft of the Citizenship Rights Charter was drawn up just months after President Rouhani took office for the first time and made available to the public in November 2013, however during four years, it was revised for two times. “Although the charter generally covers rights of all citizens, it has some parts which directly point to domestic violence against women and children,” she explained. She said that the administration has introduced a bill on the elimination of violence against women, which is currently being studied by the judiciary. “There is a close relationship between peace, security and establishment of civil right so everyone should yearn for sustainable peace,” she said. Tanaka, for his part, expressed hope that joint plans would be prepared for implementation in the near future. Iran and Sasakawa Peace Foundation held a round of joint symposium entitled ‘Women, Education, and Economic Empowerment’ in Tehran and Tokyo in 2016 and 2017. The event highlighted the importance of women’s role in today’s world as seen in the increasing number of women participating in social, political, and economic activities in most countries, including Iran and Japan. The foundation, which was established in 1986 in Japan, aims to respond to changes in nature and the social environment, to contribute to the sound and sustainable development of human society and supporting international cooperation and exchange projects.